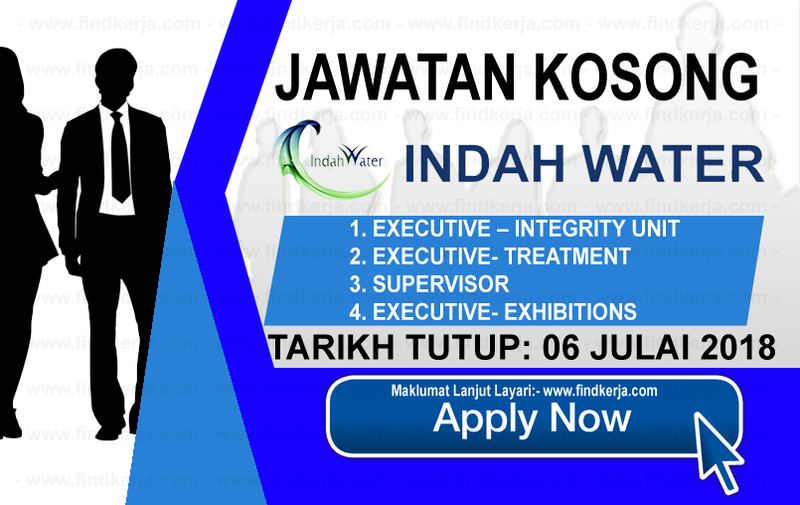 Indah Water Konsortium Sdn Bhd (also known as Indah Water or "IWK") is a national sewerage company in Malaysia. IWK is wholly government-owned company which has been entrusted with the task of developing and maintaining a modern and efficient sewerage system for West Malaysia. In 1994, the Federal Government awarded the company the concession for nationwide sewerage services which prior to that, was under the responsibility of local authorities. Since then, IWK has taken over the sewerage services from local authorities in all areas except the States of Kelantan, Sabah, Sarawak and the Majlis Perbandaran Johor Bahru. Terima Kasih Kerana Membaca Dan Menyemak Kerja Kosong IWK - Indah Water Konsortium (06 Julai 2018) Selamat Memohon Dan Semoga Berjaya Kami Ucapkan, Sila LIKE Facebook Page Kami Dan Kongsikan Kepada Semua.